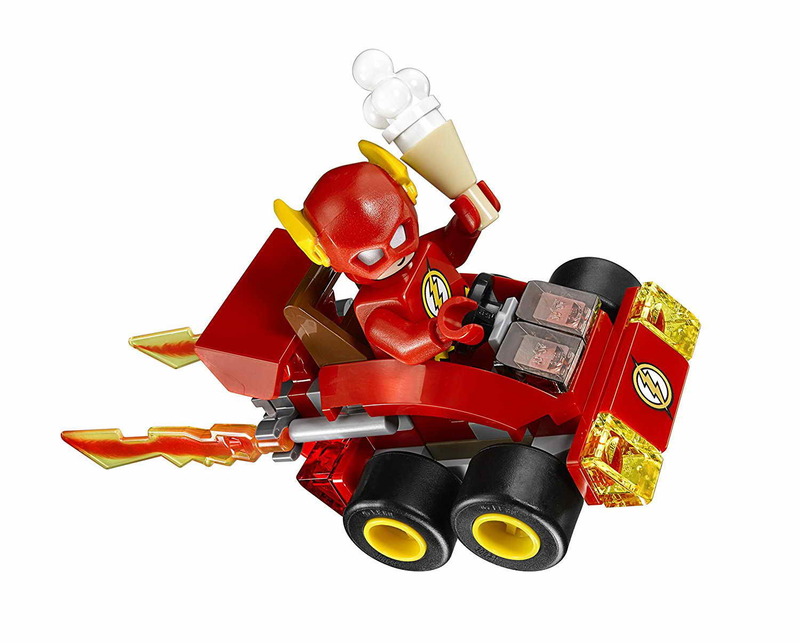 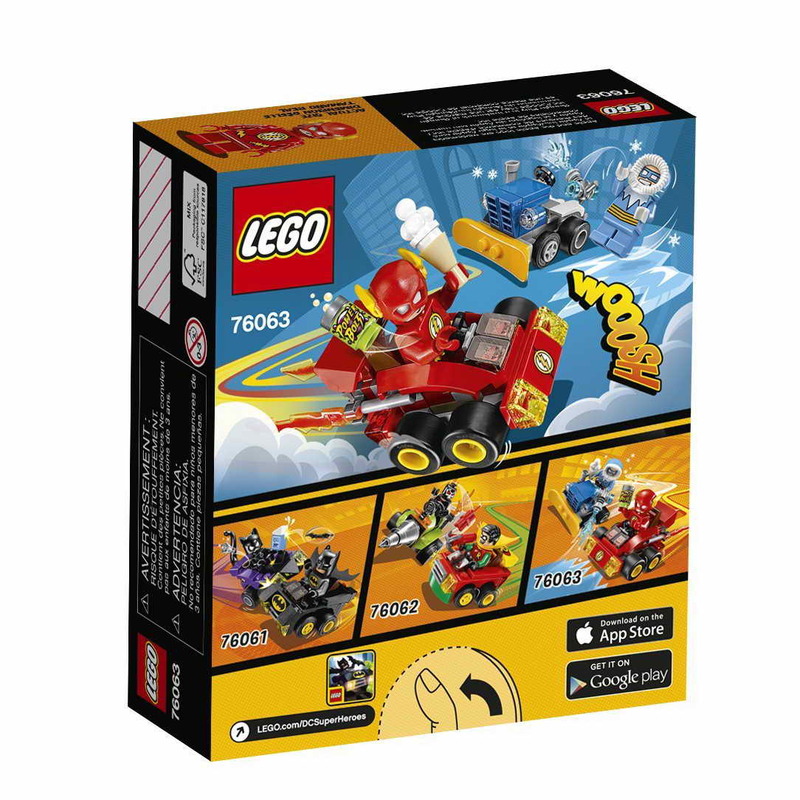 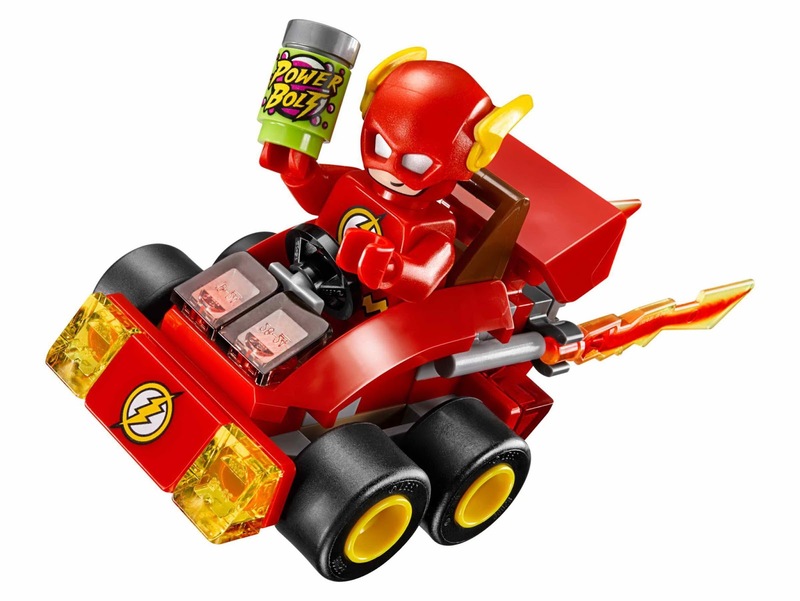 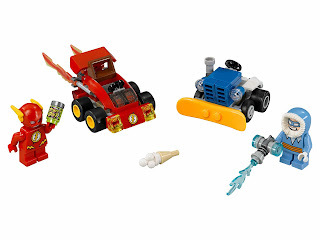 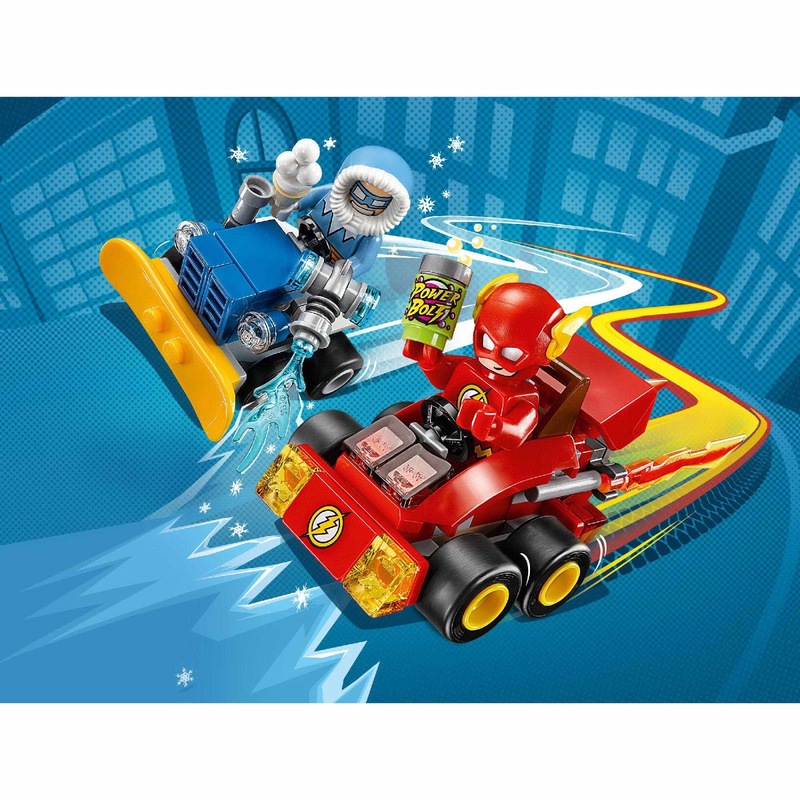 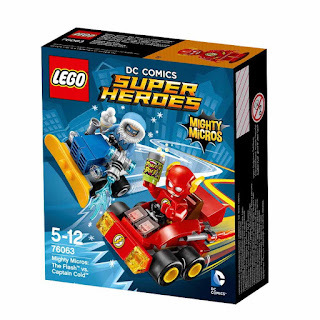 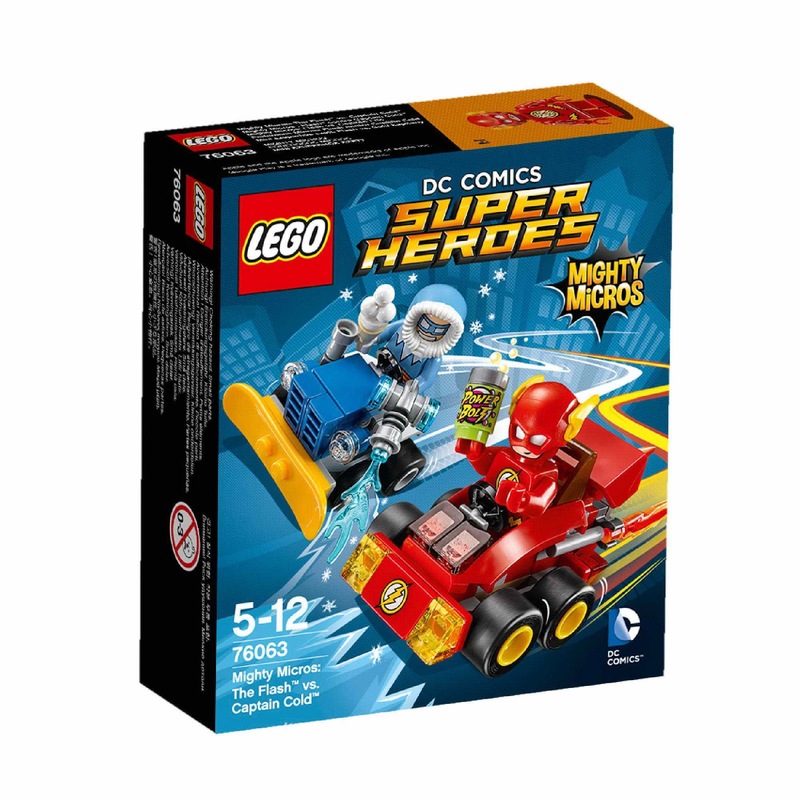 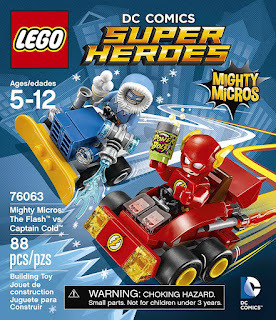 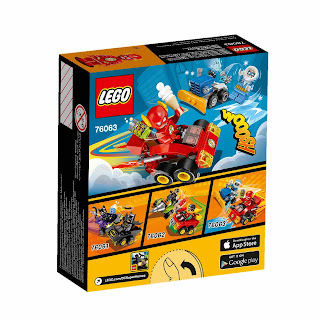 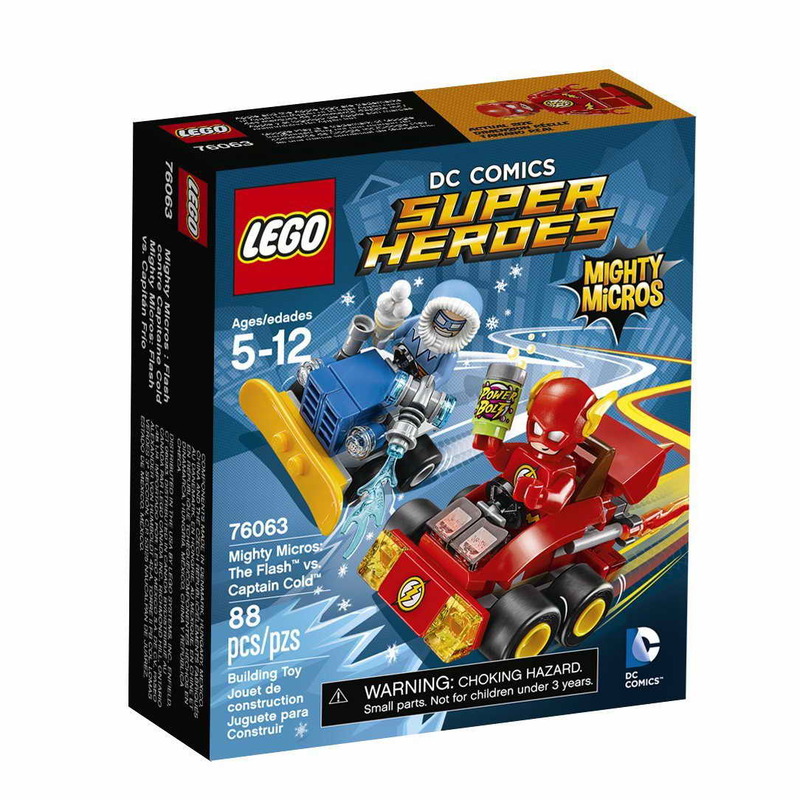 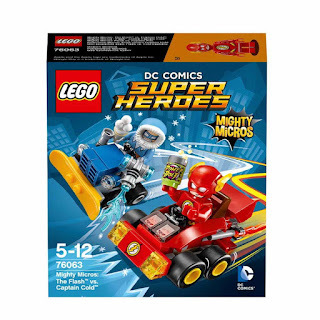 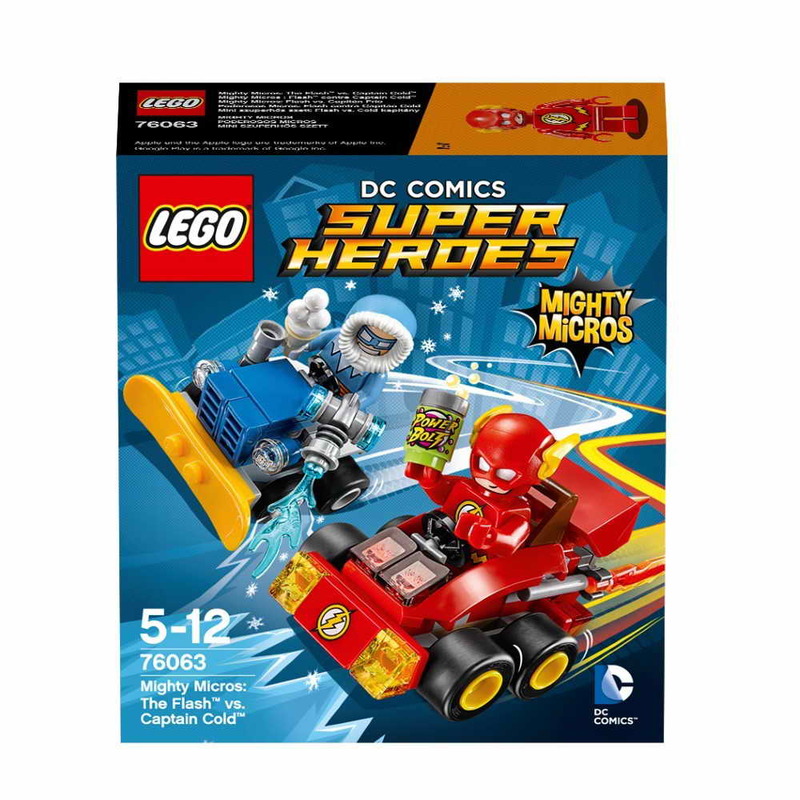 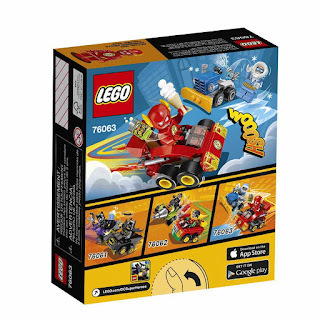 come with the flash's mighty micros car and a captain cold's mighty micros snowplow. the flash's car has turnable wheels, the flash logo, transparent lights and exhaust flame. 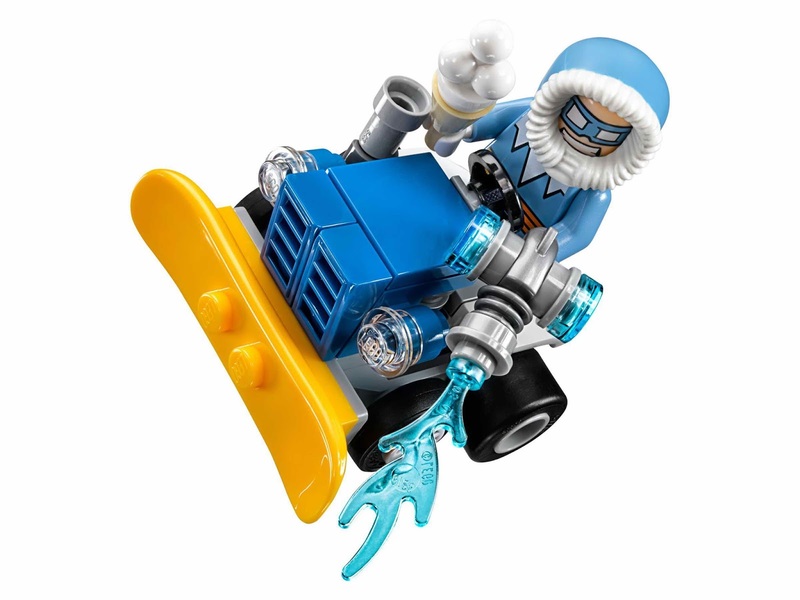 the snowplow has turnable wheels and transparent lights. 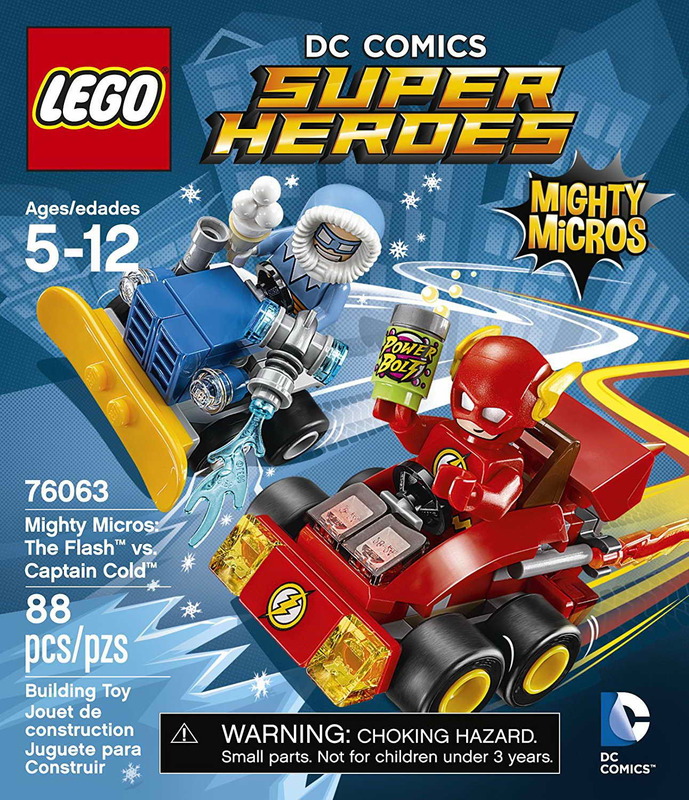 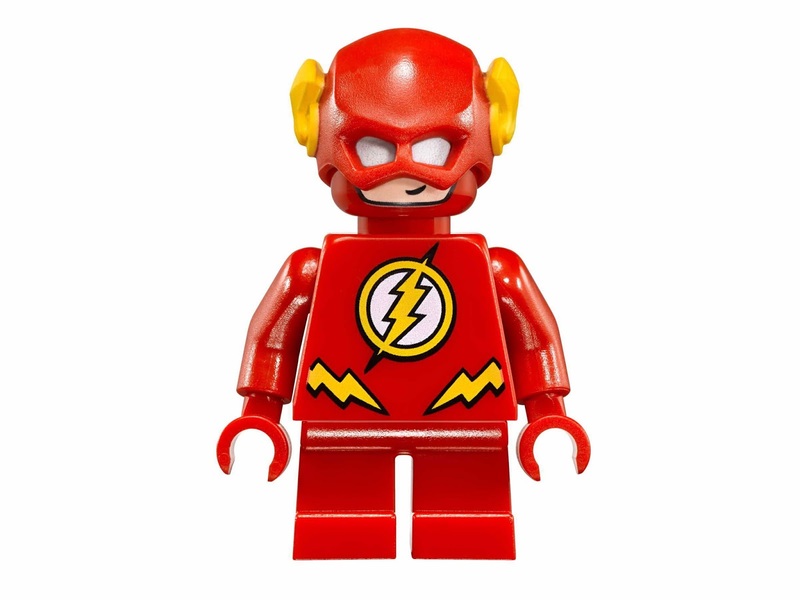 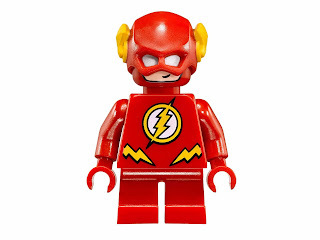 minifigs included the flash minifig and a captain cold minifig.